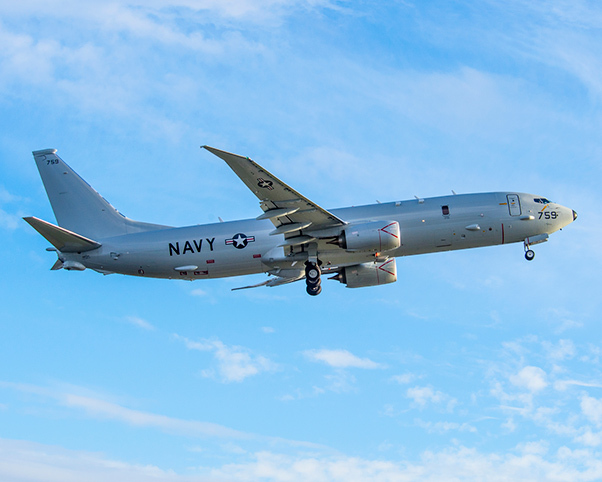 A U.S. Navy P-8A Poseidon is used for long-range, anti-submarine warfare, anti-surface warfare, intelligence, surveillance and reconnaissance. A U.S. Navy Aircraft Vehicle Modification and Instrumentation team is working closely with the 412th Test Management Group at Edwards AFB to conduct testing to certify a P-8A from Navy unit VX-20 at Patuxent River, Md., for aerial refueling. A U.S. Navy Aircraft Vehicle Modification and Instrumentation team is hard at work augmenting instrumentation to a KC-135 tanker assigned to Edwards Air Force Base, Calif. The unusual arrangement started when the Navy PMA-290 program office approached the 412th Test Management Group about using the Edwards AFB-instrumented KC-135 to certify their P-8A Poseidon from Navy unit VX-20 at Naval Air Station Patuxent River, Md., for aerial refueling. The P-8A Poseidon is a long-range, anti-submarine warfare, anti-surface warfare, intelligence, surveillance and reconnaissance aircraft. It functions as a multi-mission aircraft used by the U.S. Navy for anti-submarine warfare and communications command control, and intelligence missions. It possesses an advance mission system that ensures maximum interoperability in future battle space, which is capable of broad area maritime and literal operations. It will also influence how the Navy’s maritime patrol and reconnaissance forces train, operate and deploy. 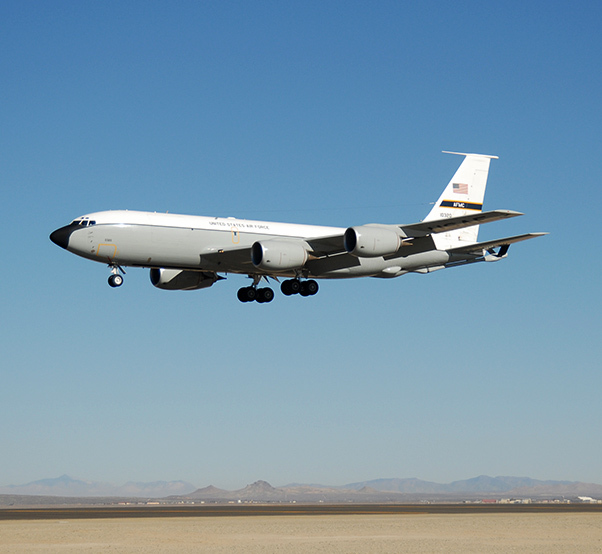 While the 412th Test Engineering Group was all too happy to offer their support with an instrumented KC-135, the Navy program needed additional instrumentation. Members of the 412th Test Management Group and a U.S. Navy Aircraft Vehicle Modification and Instrumentation team is working together to configure instrumentation to this Edwards-assigned KC-135 tanker. The tanker will be used to certify a Navy P-8A Poseidon for aerial refueling. 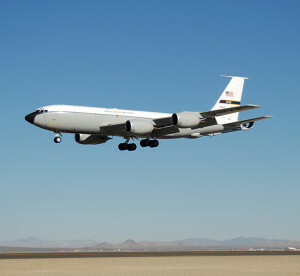 On Feb. 3, an eight-man AVMI team from the Naval Air Systems Command arrived at Edwards to begin modifying the KC-135 using the Air Force processes. 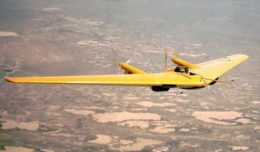 The 412th TENG will oversee the modifications as they continue to work towards the first test flight slated for March 31. The AVMI team also worked closely with the 412th Test Wing Mod Dock team to work through design reviews, program management, installations and inspections. 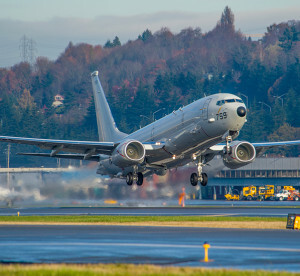 According to Leonard Roen, 412th TMG, the flight test will mark the first time that the Navy has accomplished aerial refueling behind an Air Force tanker with a center-boom system. He also added that the data collected by the new instrumentation will be used to create a robust, high fidelity simulator that will be used to train and maintain proficiency of Navy aircrew. “This simulator is expected to save the Navy multi-millions of dollars in the future by not requiring actual flight time to train the aircrew,” said Roen. When they first arrived, Parker didn’t know what to expect of the Navy AVMI team. The P-8A Poseidon is a long-range, anti-submarine warfare, anti-surface warfare, intelligence, surveillance and reconnaissance aircraft. It functions as a multi-mission aircraft used by the U.S. Navy for anti-submarine warfare and communications command control, and intelligence missions. The AVMI team will work closely with the 418th Maintenance Squadron for support in their modifications. According to Roen, the Air Force will also benefit from the work the Navy is doing because the new instrumentation can be utilized by other programs in the future. “This is an outstanding example of utilizing trained personnel from other services to meet the needs of test programs. With manpower limitation, it is critical that DOD shares what we can, when we can,” said Roen. “This cooperation will significantly improve the data collection effort that would not have been possible without this sharing of trained personnel. Using this as an example could lead to other opportunities in the future and allow for more efficient testing and data gathering.